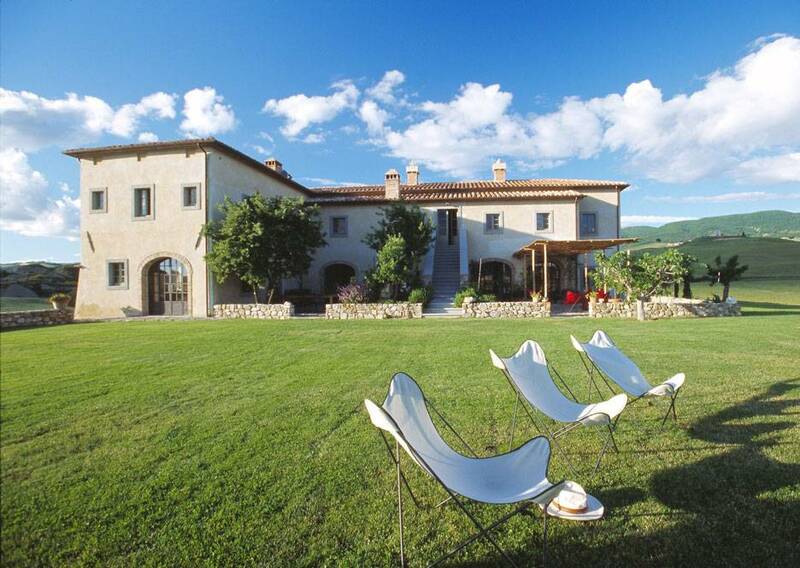 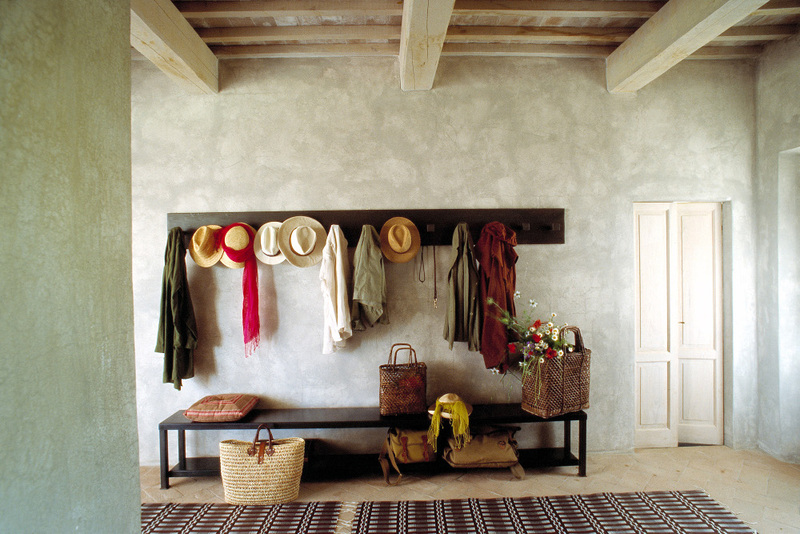 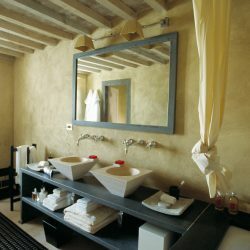 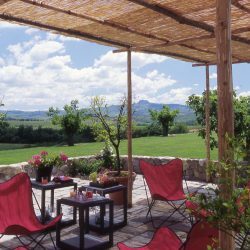 Luxury Rental – Le Caselle. 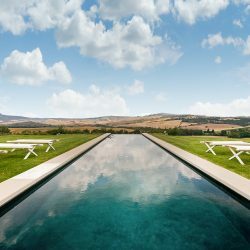 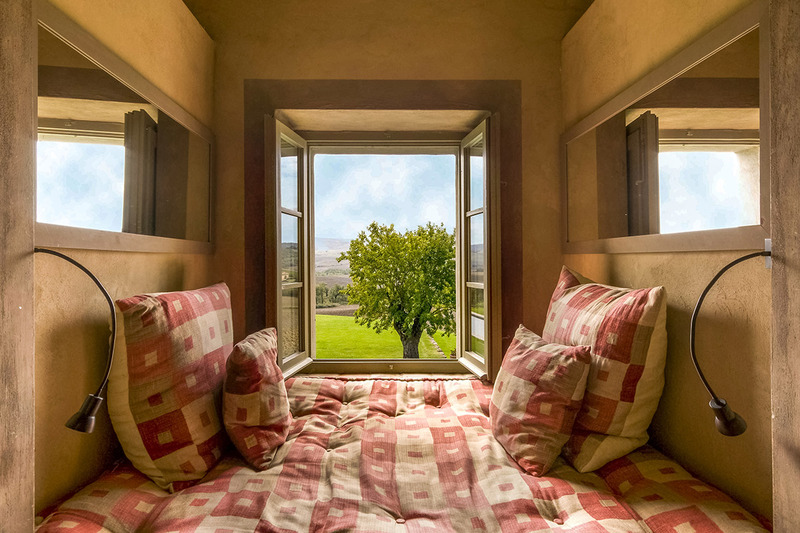 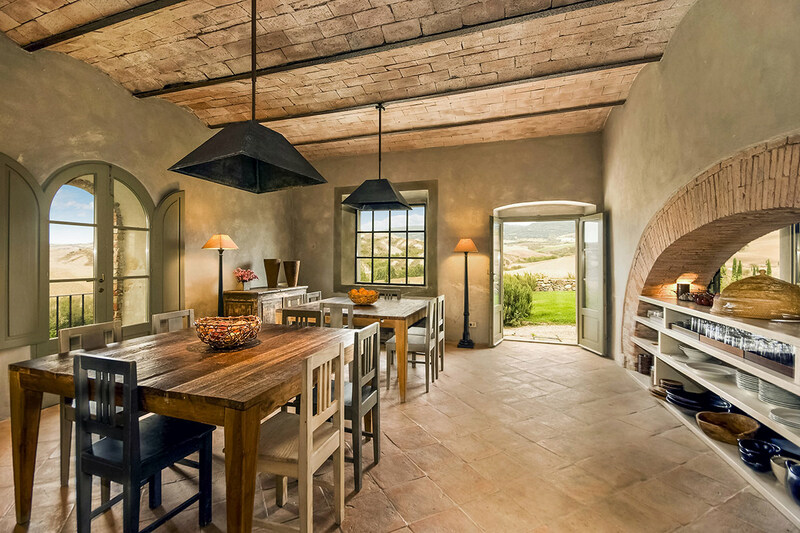 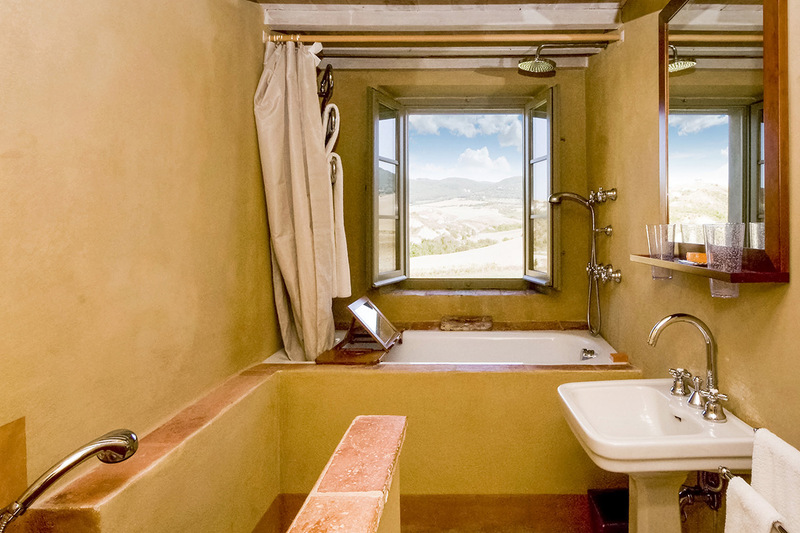 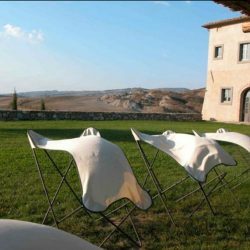 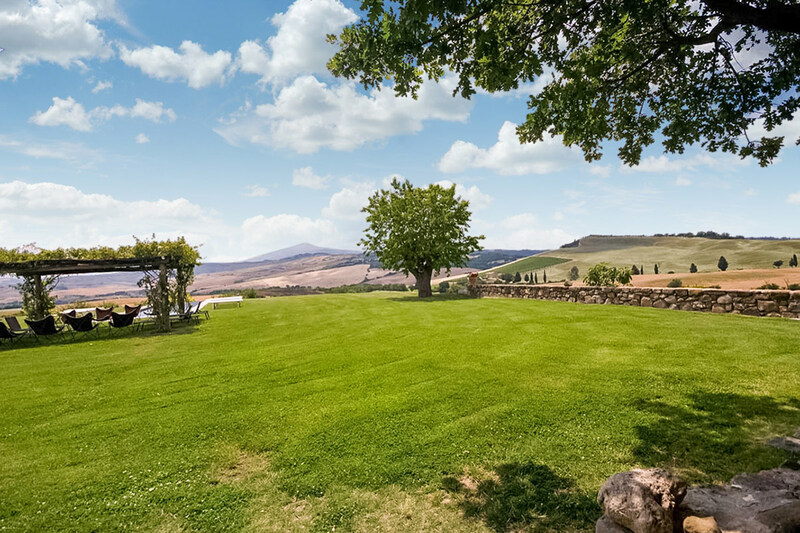 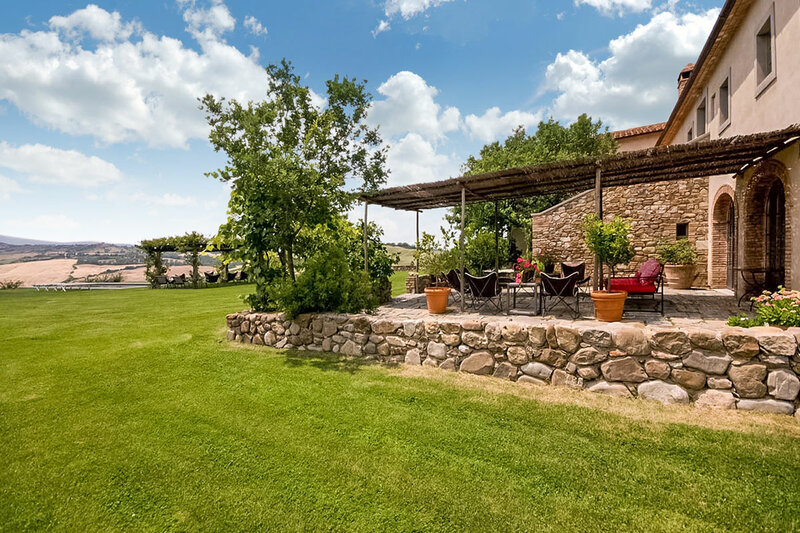 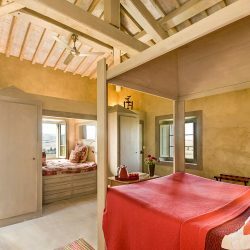 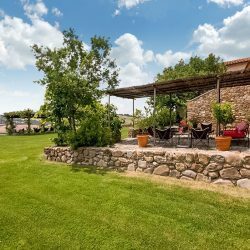 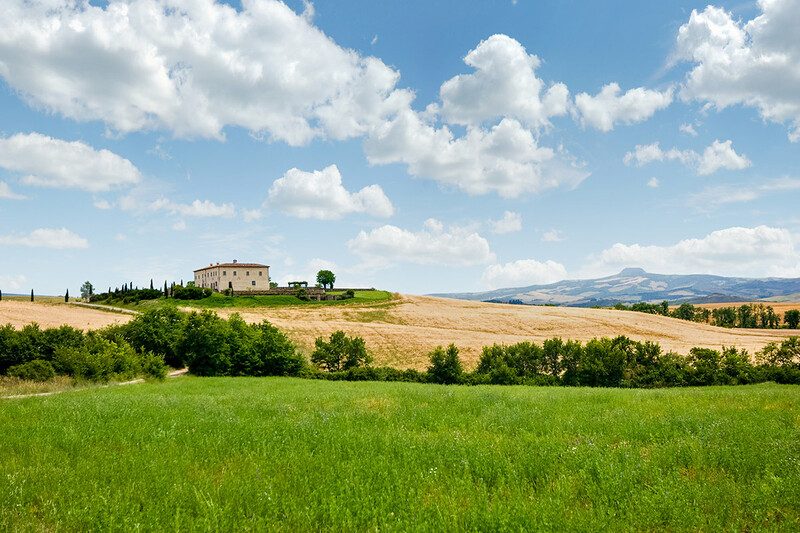 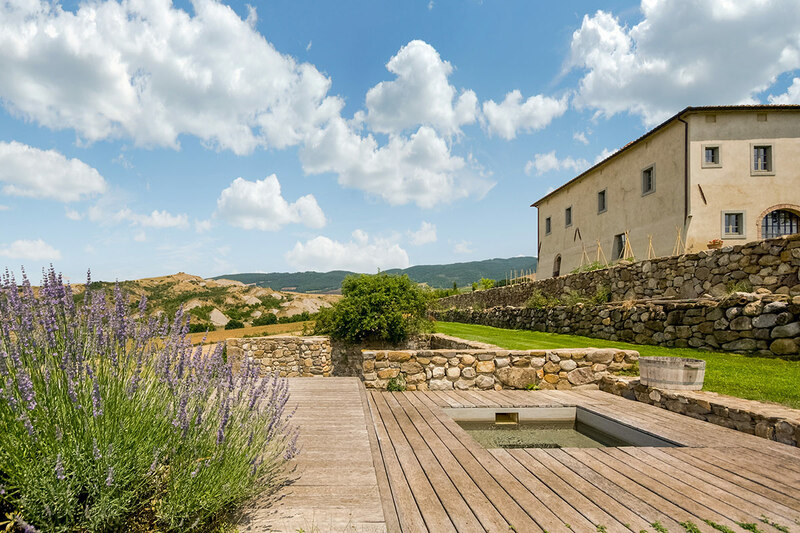 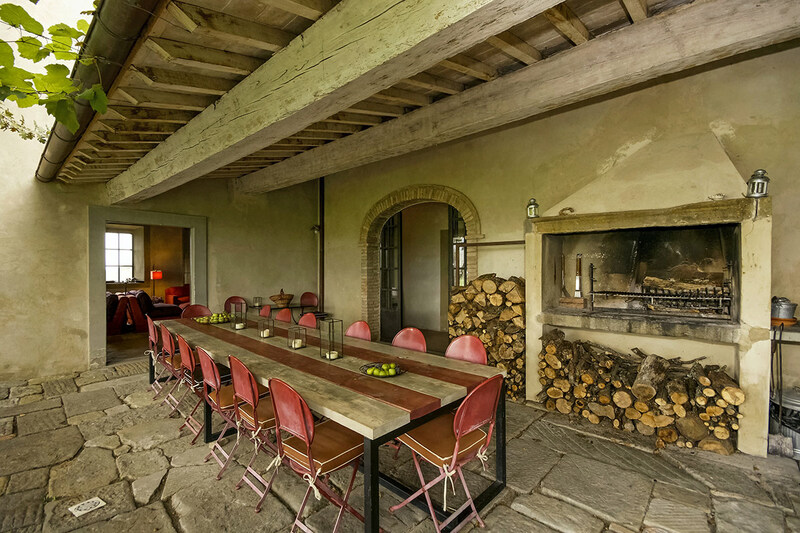 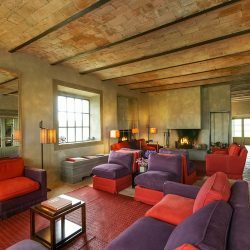 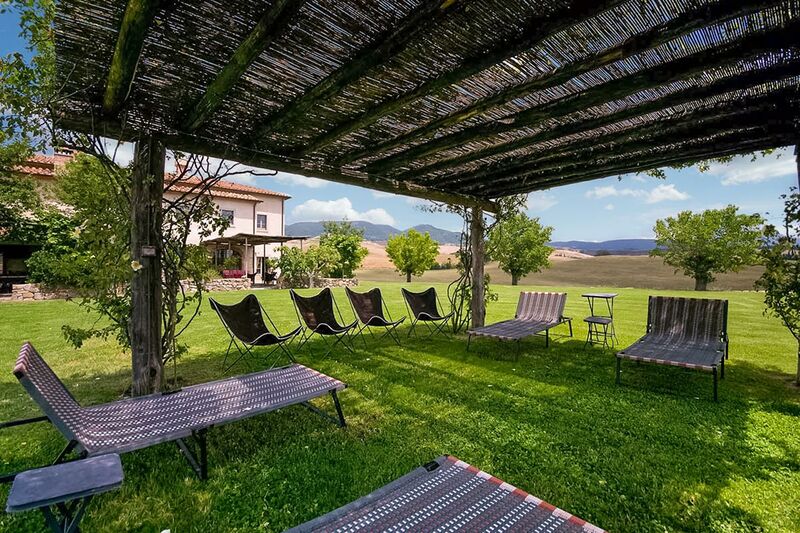 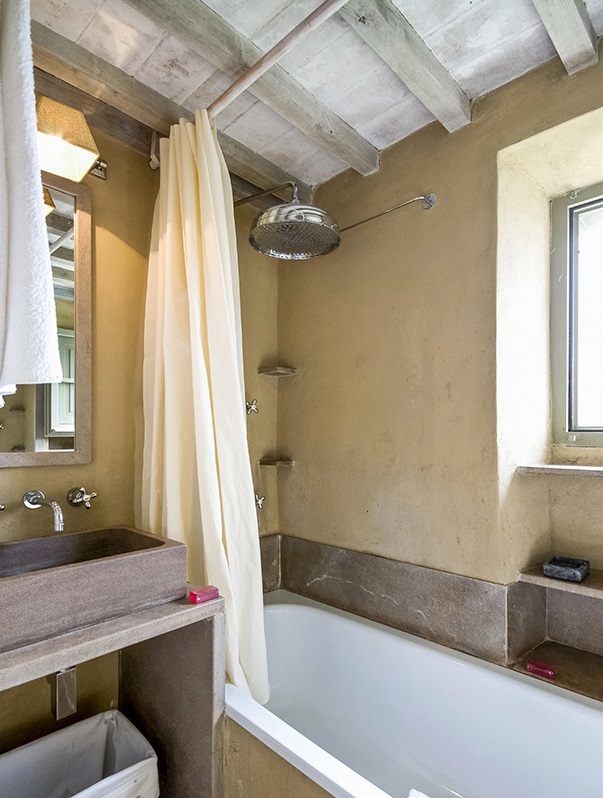 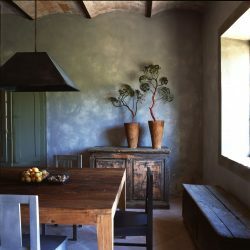 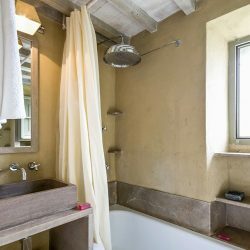 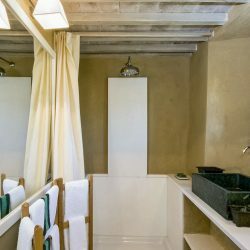 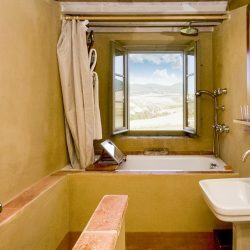 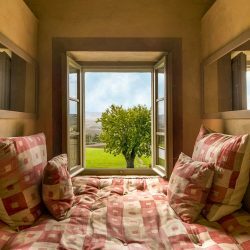 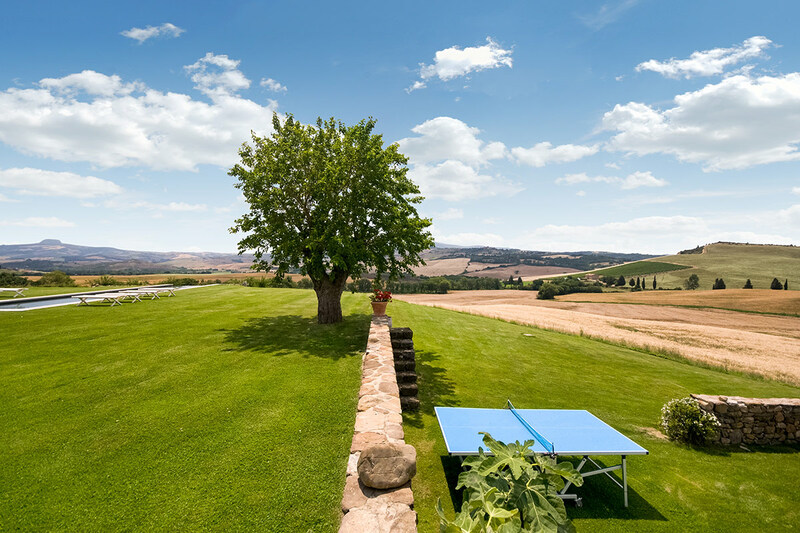 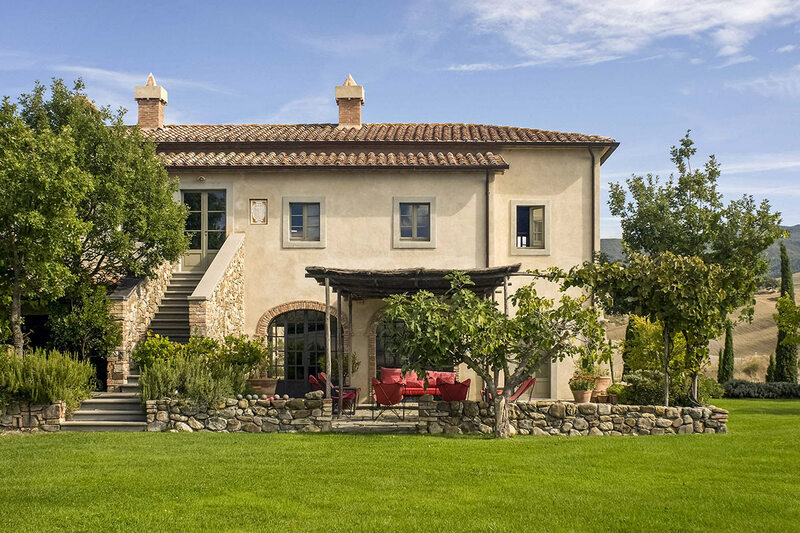 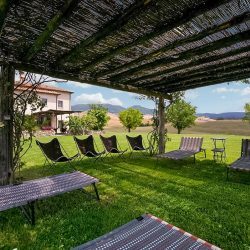 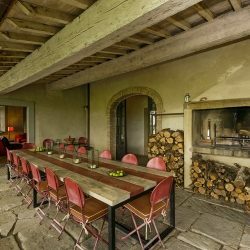 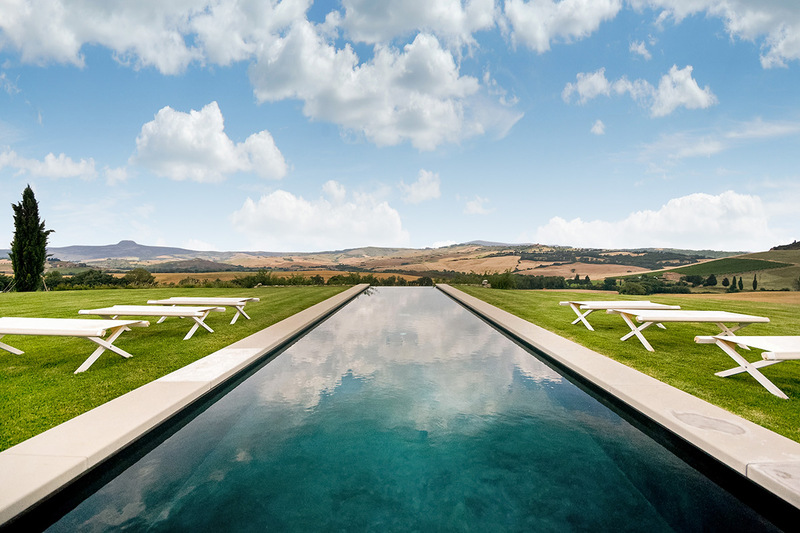 This stunning property is located in a superb panoramic position in the rolling Tuscan hills near Sarteano, within easy reach of all the main attractions of the area. 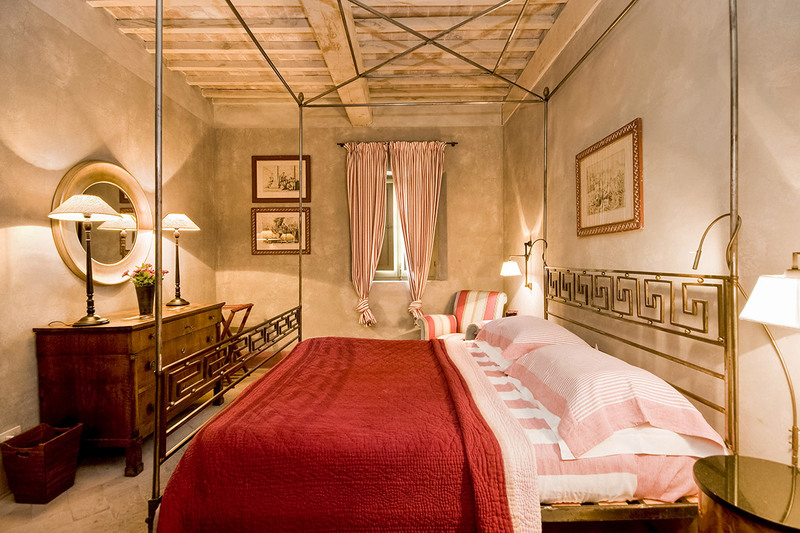 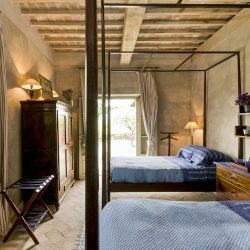 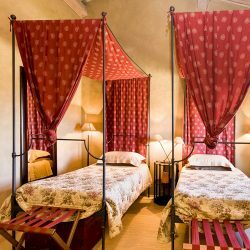 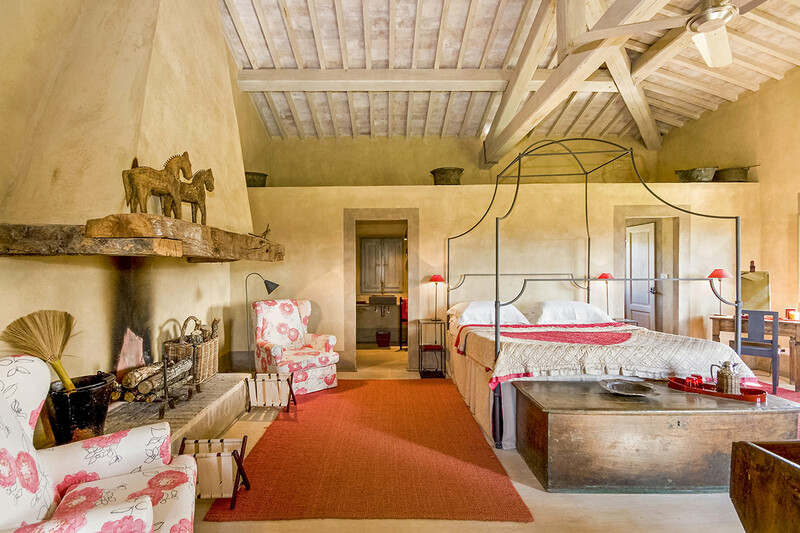 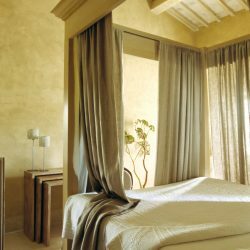 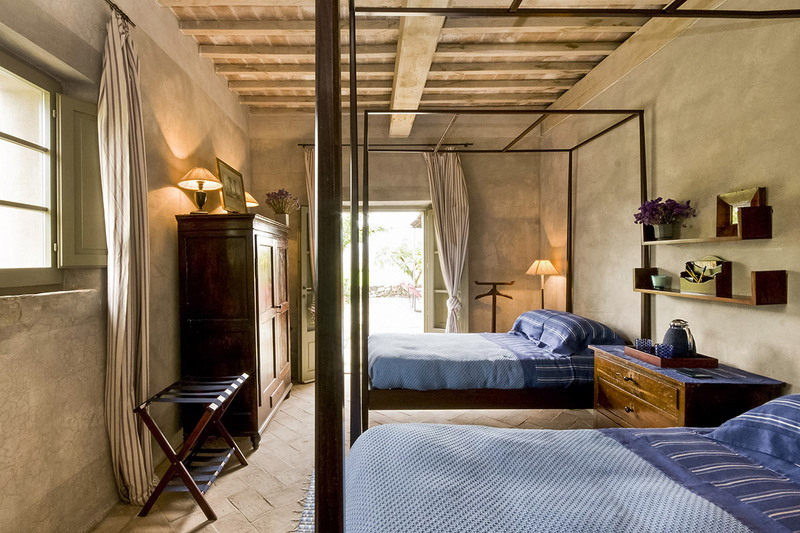 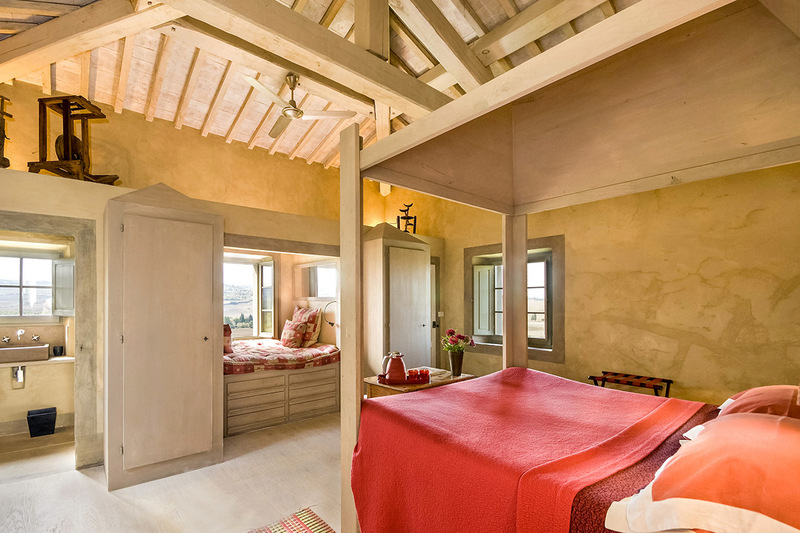 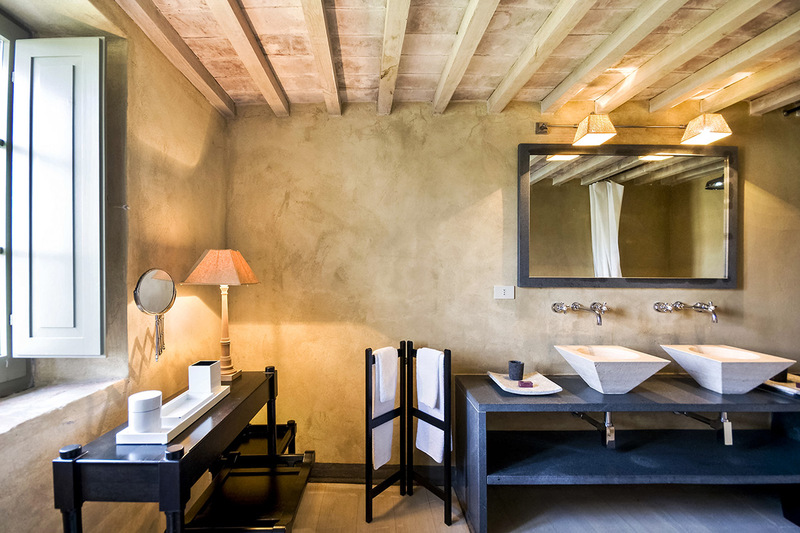 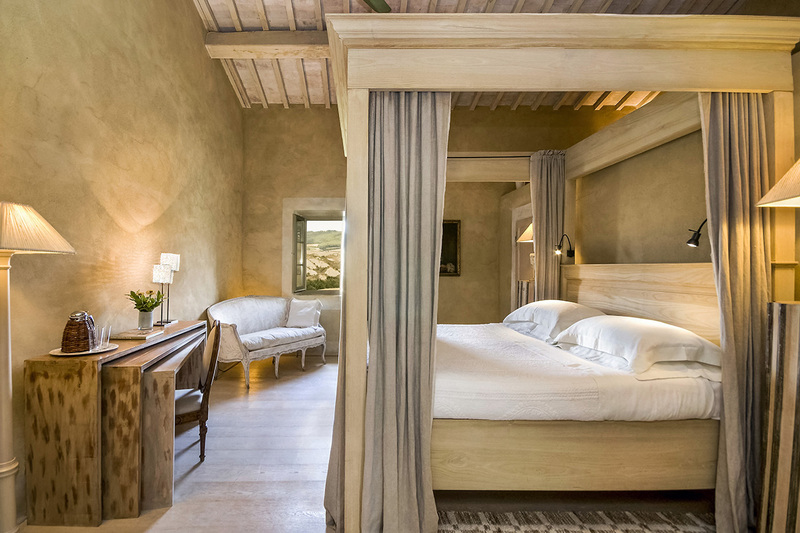 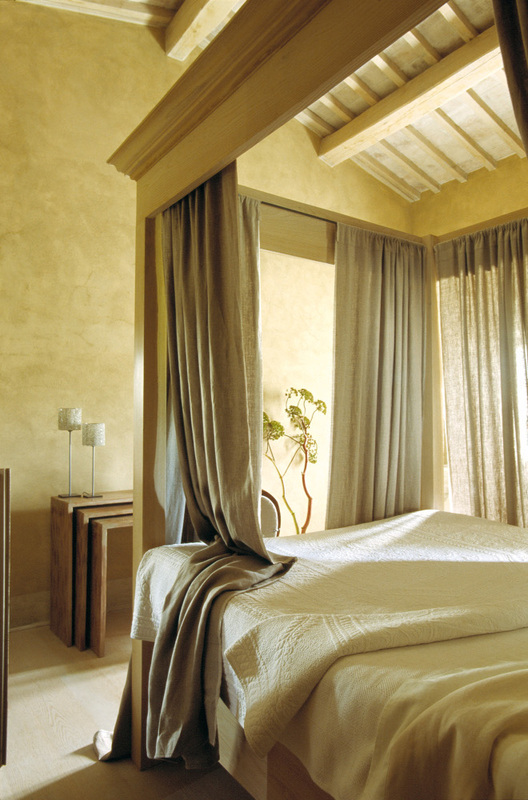 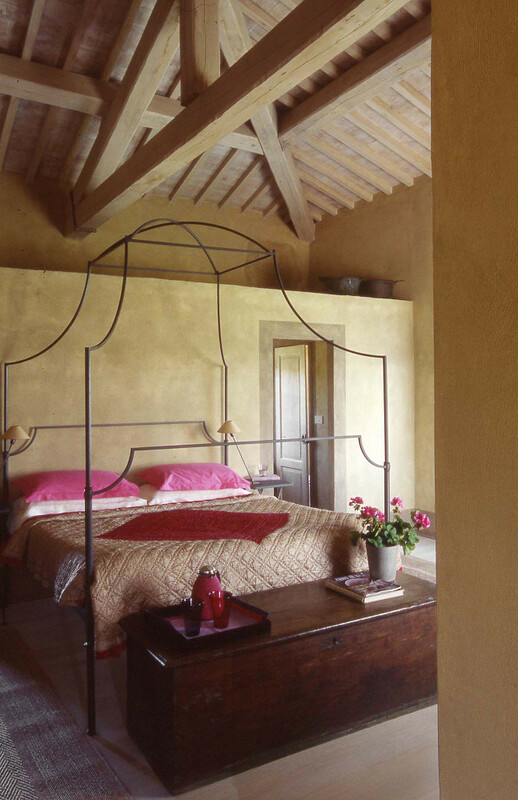 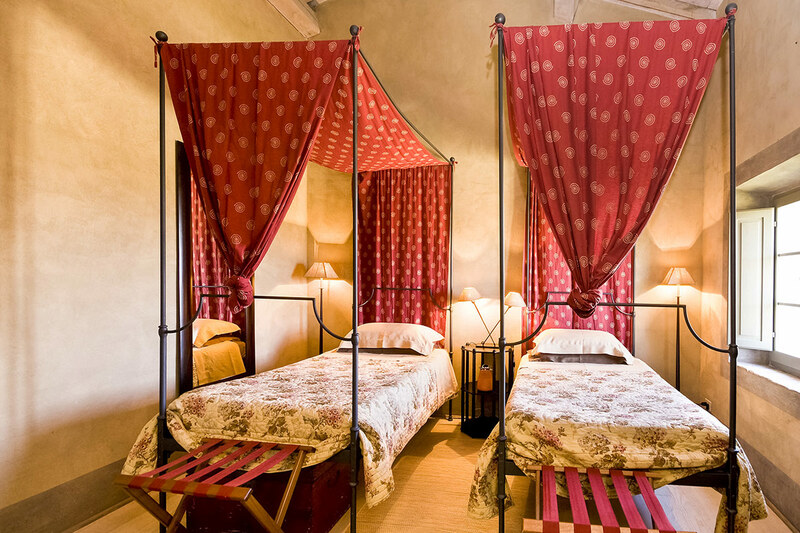 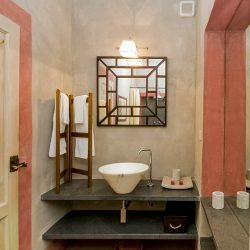 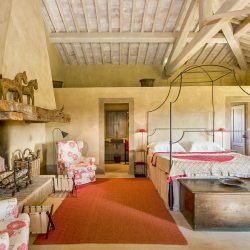 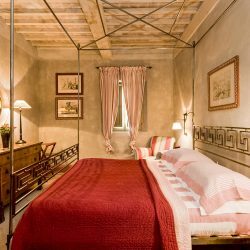 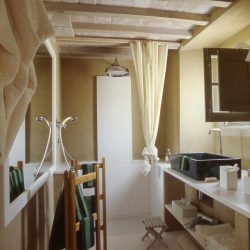 Sleeping 16 + 3 people with 8 bedrooms and 8 bathrooms it combines the ultimate contemporary elegance with Tuscan warmth and style. 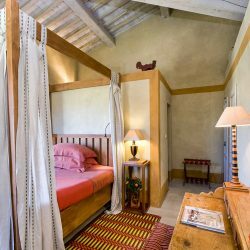 Equipped with all the comforts and conveniences one would expect, the villa is set in a verdant garden with a stunning panoramic pool. 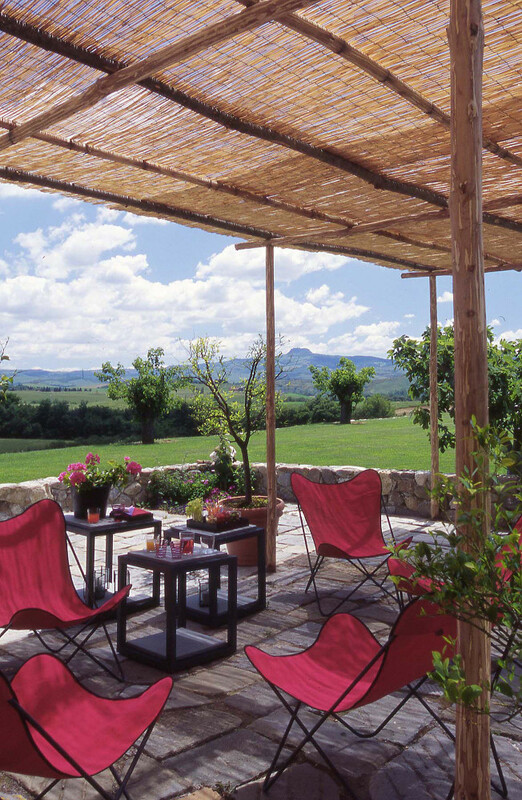 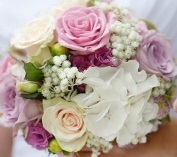 For total relaxation and enjoyment why not make us of the other services on offer? 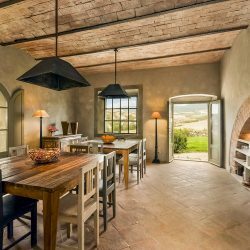 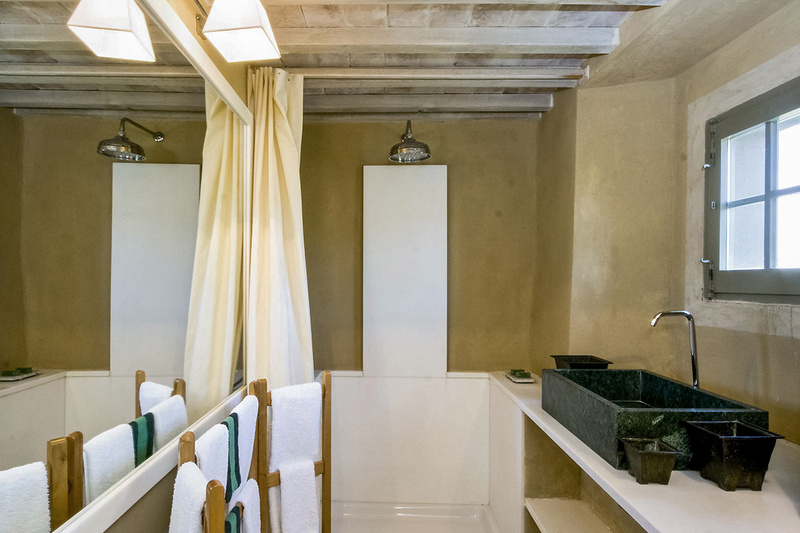 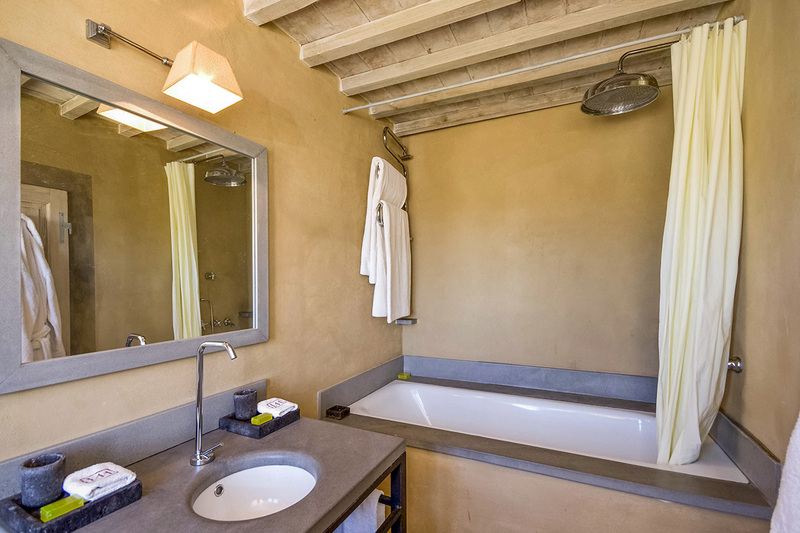 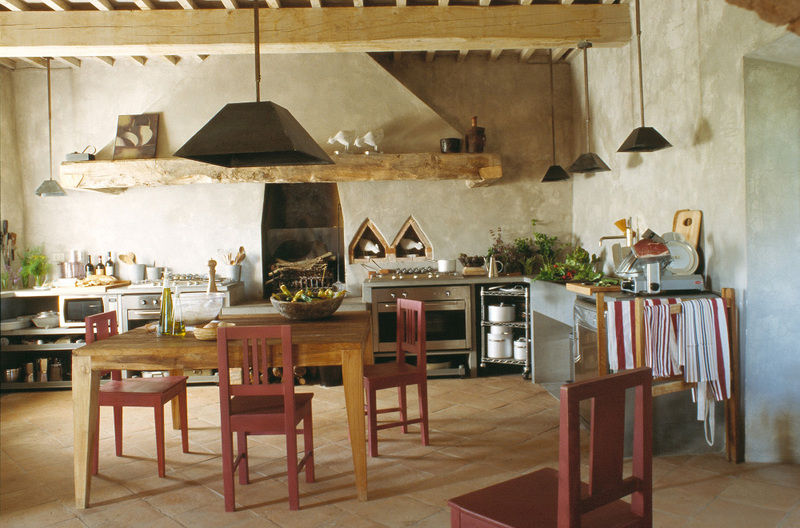 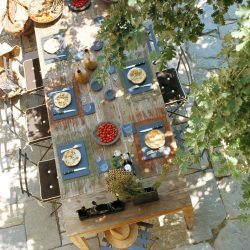 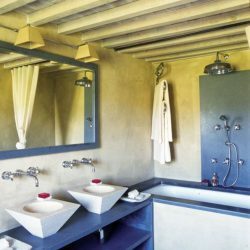 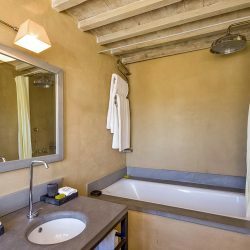 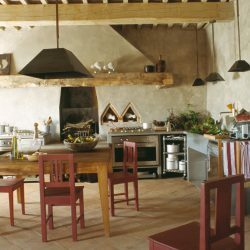 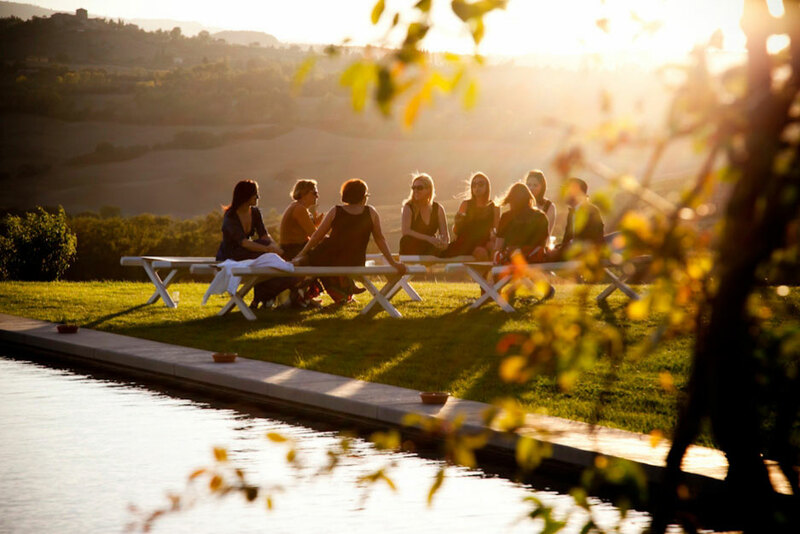 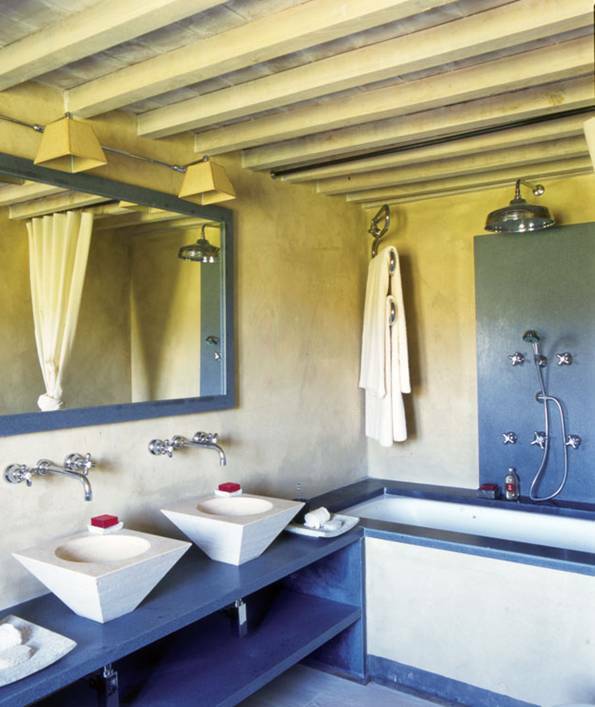 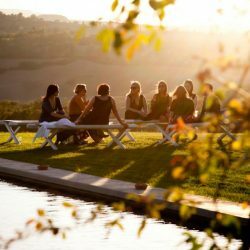 These include an in house chef, baby sitter, massages, cookery lessons, wine tastings and bike rental. 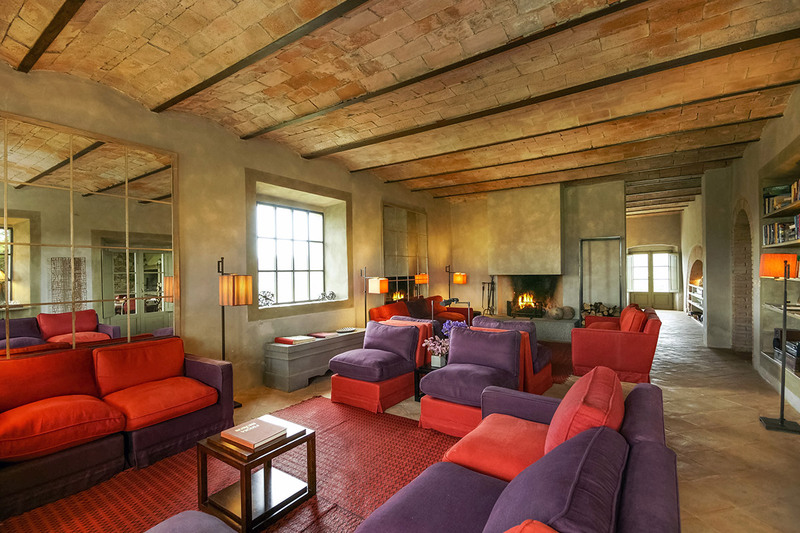 Ground floor: Living room with fireplace; dining room; kitchen with 2 ovens, microwave, refrigerator with ice maker and dishwasher; double bedroom with en suite bathroom with shower; veranda connected to the rest of the house; guest cloakroom with toilet and sink; double bedroom with private entrance from the large patio with private bathroom with bath and shower. 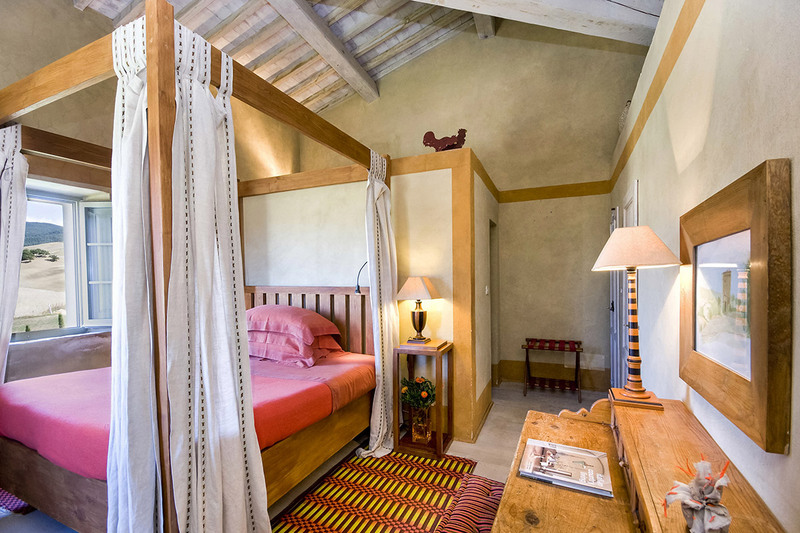 First floor: Accessed via internal staircase; double bedroom with study/living room with fireplace and private bath with large stone-walled shower; bedroom with 5 beds and en suite bathroom with shower suitable for children (sofa bed at floor level, 2 single beds and a double bed in loft with satellite TV, VCR, DVD, stereo); double bedroom with bathroom with bath and shower; double bedroom with bathroom with bath and shower; double bedroom with bathroom with bath and shower; double bedroom with bathroom with shower wall. 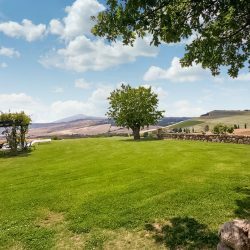 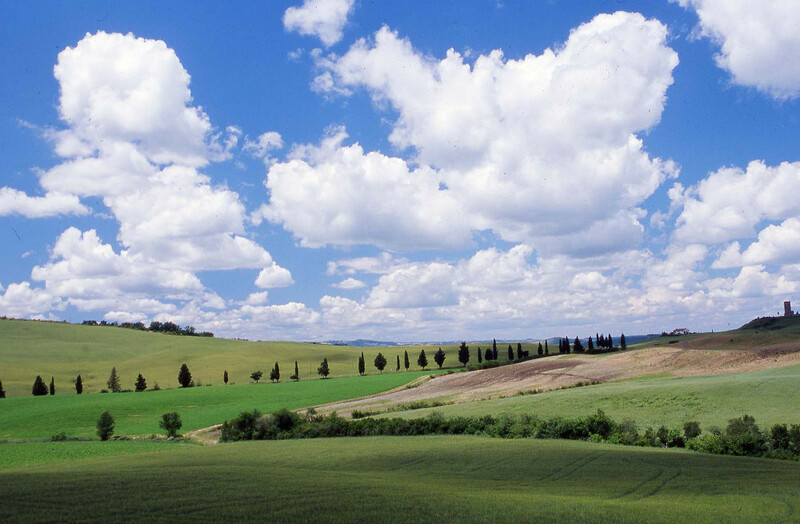 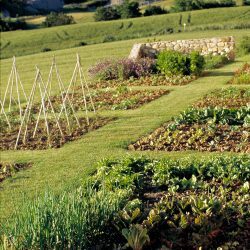 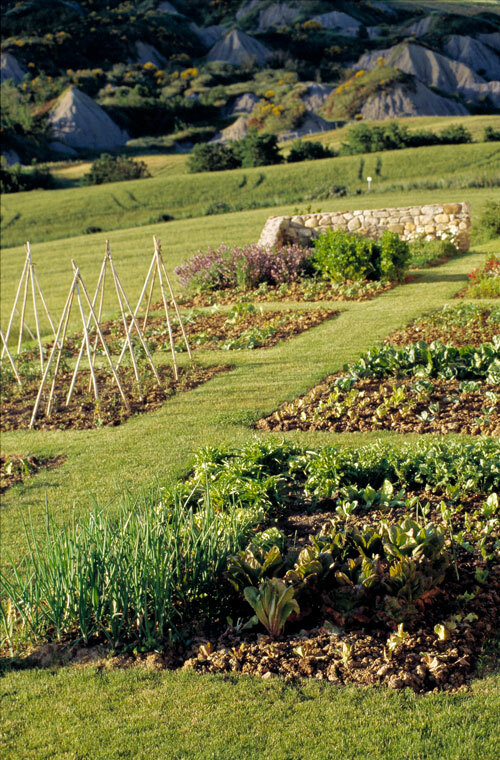 3 hectares of automatically irrigated land, garden and orchard. 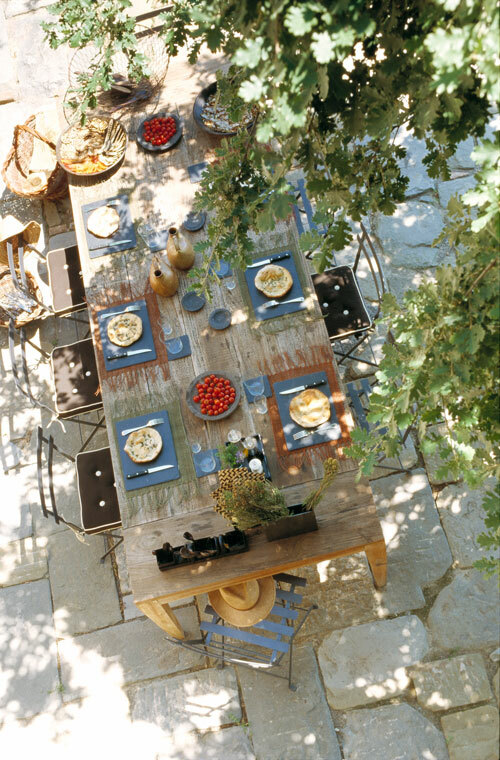 2 terraces, one with barbecue and table. 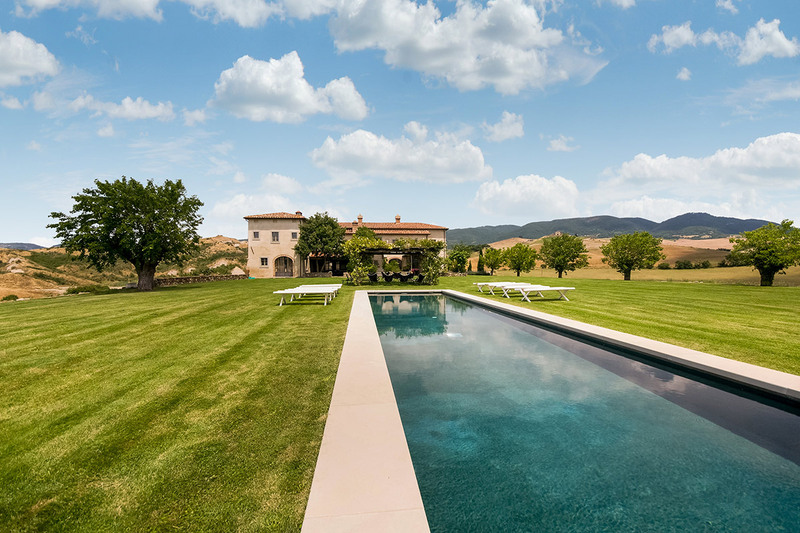 Heated swimming pool (20 x 4 m) with hot tub. 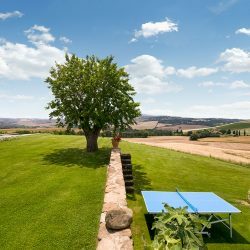 Heated swimming pool, hot tub, garden, orchard, terrace with barbecue and table, terrace, laundry room with washer and dryer, satellite TV, VCR, DVD, CD player, I-pod, phone, underfloor heating, Wi-Fi, hair dryer in each bathroom, table tennis, volleyball, croquet, football, bocce. 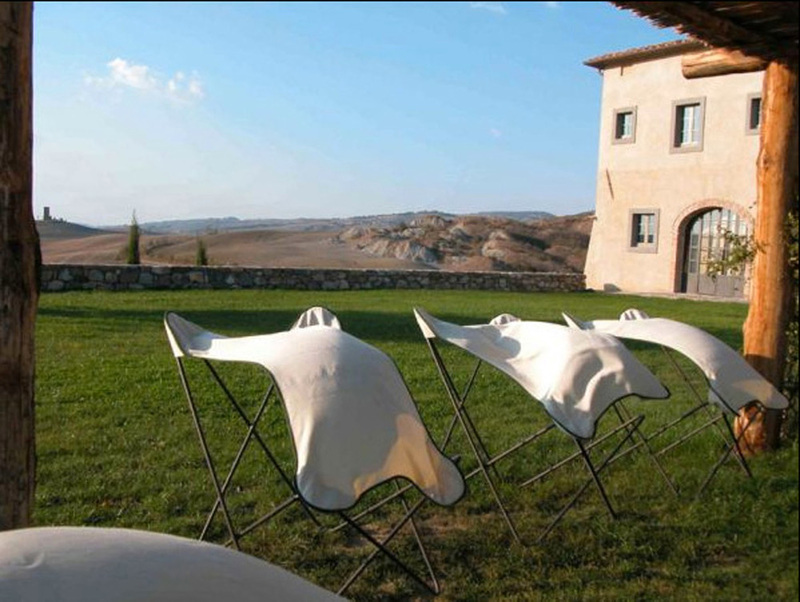 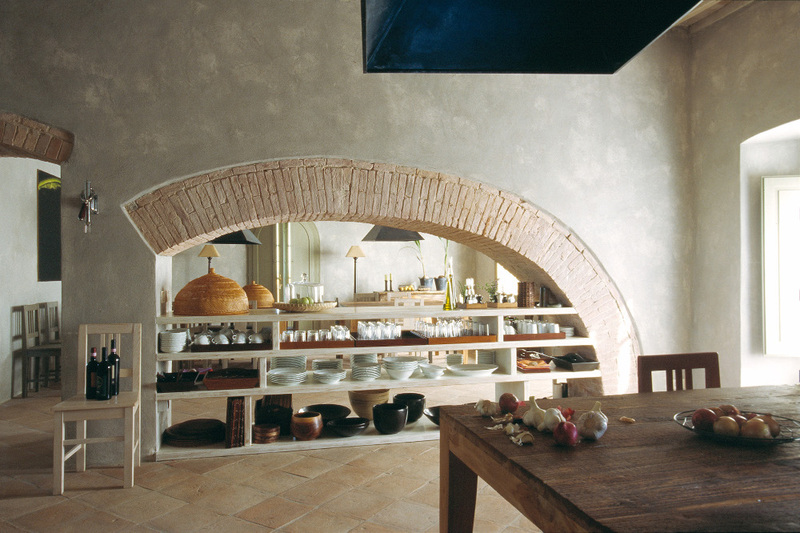 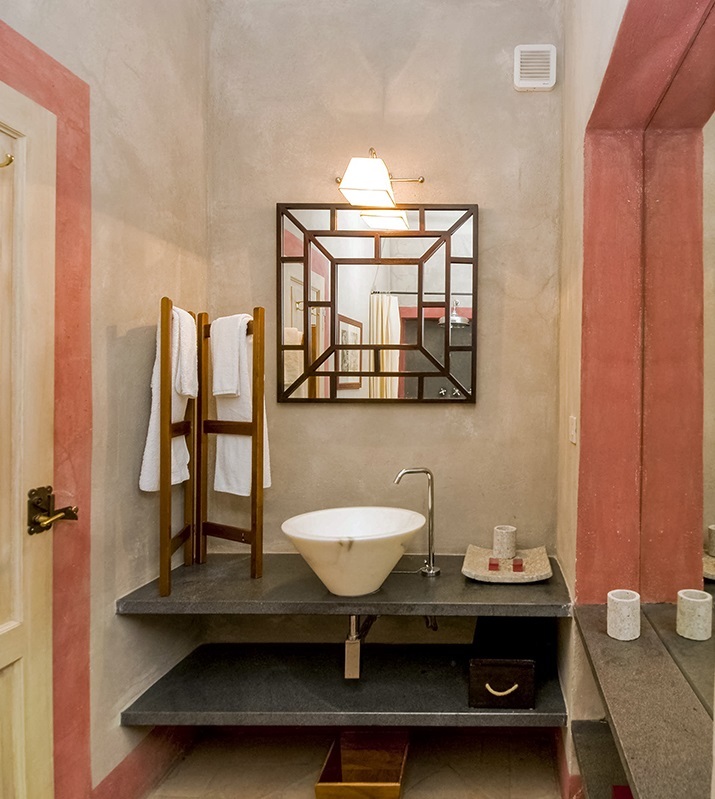 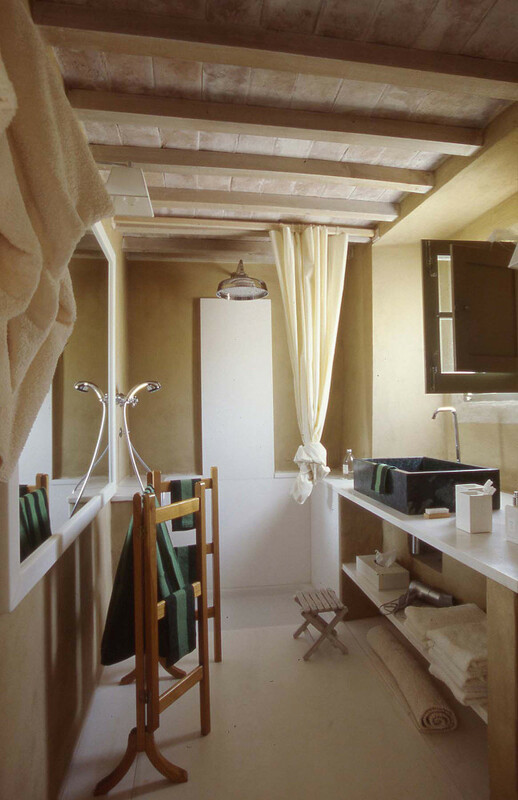 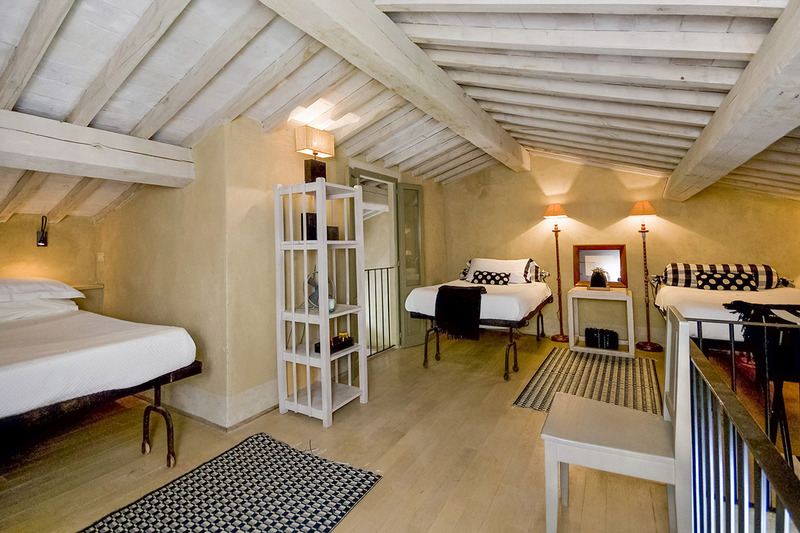 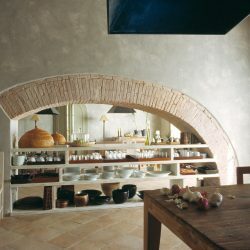 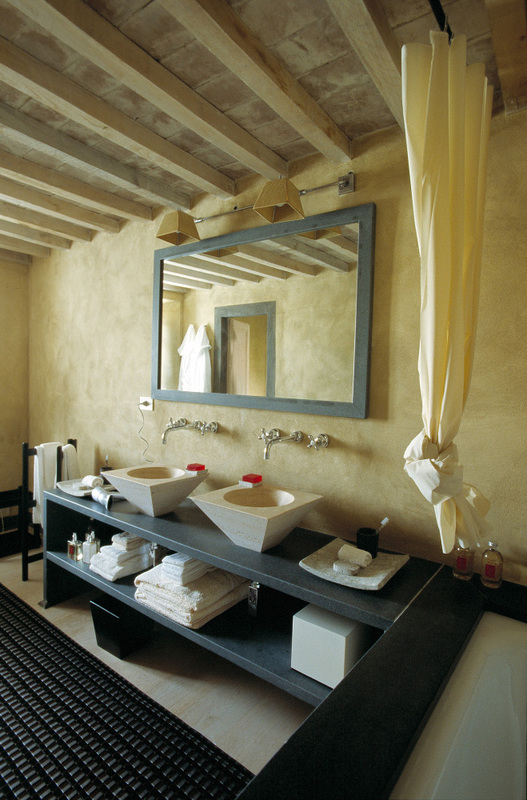 Massages at home, private chef, babysitting in language, wine tastings, cooking classes, bicycle rental. 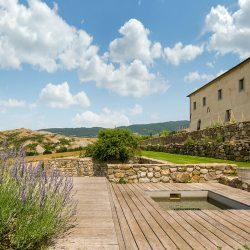 Prices start at €10,010 per week in low season rising to €22,826 in high season. 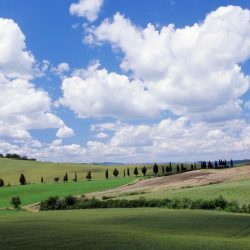 Castiglioncello del Trinoro 5 km, Pienza 16 km, San Quirico d’Orcia 19 km, Chiusi 24 km.